ARE YOUR TRADERS WATCHING THE NEWS WHEN THEY SHOULD BE TRADING IT? 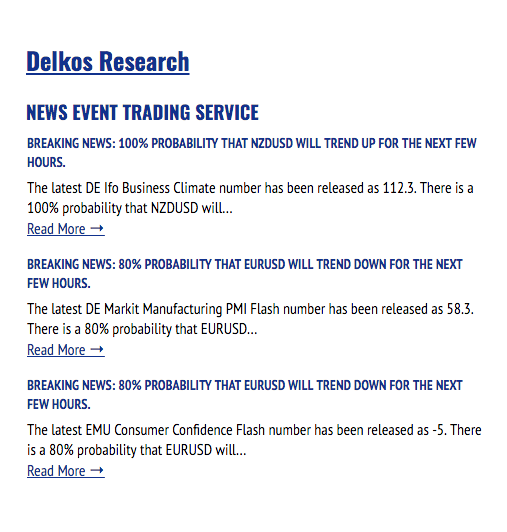 CONVERT ECONOMIC NEWS EVENTS INTO ACTIONABLE TRADING OPPORTUNITIES. NETS is simple and easy to understand, instead of having an entire events calendar, we filter the event calendar for events that have tradeable opportunities based on our statistical analysis. The NETS Tool is easily integrated into your site or platform in a the way which suites your specific brands needs, our web developers will be in touch and have you up and running within a week. Our team is focused only on the needs of brokers and their traders so please get in touch so that we can find a solution that suits your needs and budget.